News, announcements, and reminders from the council, school, and community. We are very excited to welcome Melanie Florence who will be visiting this Wednesday afternoon to present to all of our kindergarten to Grade three students. Melanie is an award-winning author of Cree and Scottish heritage based in Toronto. She will be presenting to our students about traditional storytelling and folktales, and will read her award-winning picture book Stolen Words. According to Melanie Florence's website, Stolen Words is the "story of the beautiful relationship between a little girl and her grandfather. When she asks her grandfather how to say something in his language- Cree- he admits that his language was stolen from him when he was a boy. The little girl then sets out to help her grandfather find his language again." This picture book has given many of our classes an understanding of the impact of residential schools and has allowed for rich discussions of this topic in an age-appropriate way. We are so honoured to have Melanie visit with our youngest students this week. Due to significant combination of snow, ice pellets & freezing rain expected throughout the day, all TDSB schools & administrative sites are closed today. This includes Child Care Centres located inside TDSB schools. On Monday 11 February, the TDSB sent a letter to parents about Winter Weather using the School Messenger service. A copy of the text of the letter is reproduced below. Environment Canada is once again calling for a winter storm for Toronto and surrounding area with a wintery mix expected on Tuesday. With this in mind, I wanted to provide you with some important information about how the TDSB makes the difficult decisions surrounding the cancellation of school buses, programs, and/or the closure of schools due to winter weather. A number of factors are taken into consideration when making these decisions. On days with severe weather, staff are up very early to look at current and forecast weather conditions, road conditions, and advice from our bus carriers, among other pieces of information. In consultation with the Toronto Catholic District School Board, the decision on school buses is then made. The decision about school buses is sometimes made because it has been determined driving conditions are too unsafe. 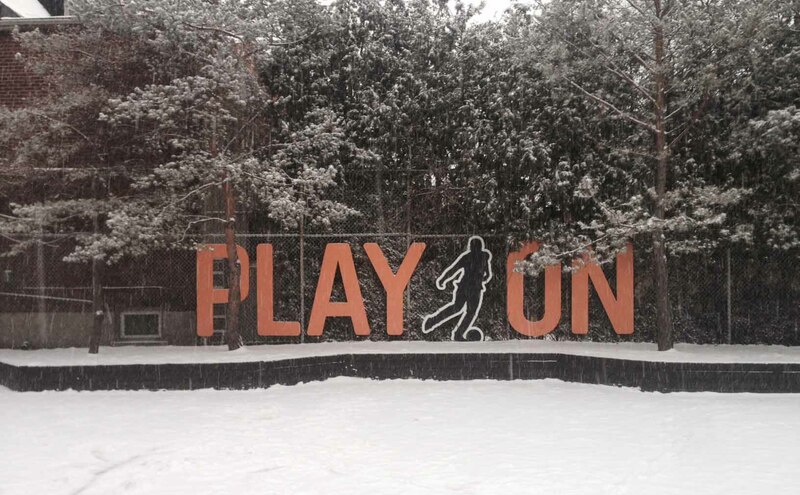 The decision is sometimes made to avoid having students wait for unusually long periods of time in inclement weather for a bus or remain on that bus for hours due to weather-related traffic delays. It is important to note that, unlike other school boards across the Greater Toronto Area, a vast majority of TDSB students — more than 90 percent — do not use school buses. Also, as the Greater Toronto Area may have different weather and road conditions, the decision made for one area will differ from the decisions made in another area. As I hope you can appreciate, the decision concerning whether to keep schools open or closed has a major impact on the lives of thousands of families across Toronto and that is why we strive to keep them open whenever possible. Should all schools be closed, it causes significant hardship for many families, some of which have no other options readily available for their children. Parents/guardians make the final decision whether they wish to send their children to school during days of extreme weather. The TDSB supports whatever decisions parents/guardians make on these days. Students will not be penalized. Thank you for the opportunity to provide you with this important information. While days of winter weather like we are expecting tomorrow may result in delays getting to and from school/work, I want to reassure you that the safety of our students and staff is always top of mind when making these difficult decisions and we would never put that at risk. As always, for all the latest information and updates about possible cancellations/closures, please check the TDSB website, @TDSB and tune to local media. During the month of February the TDSB recognizes African Heritage Month. A Parent Information Session on the topic of #the talk...Talking Race & Racism With Your Child and parental warnings on how to handle racial discrimination has been organized. The session will be facilitated by Michelle Munroe, Manager, Parent and Community Engagement. Wednesday, February 27, 2019 at 6:30 p.m. in Meeting Room 3 & 4 at the Scarborough Civic Centre (140 Borough Drive). Good mental health and well-being play a critical role in the success of our students. Promoting good mental health is an important part of our everyday interactions in our school communities. Our efforts need to focus on positive and supportive relationships; having a caring adult that our children can turn to and helping them develop optimism, a positive sense of self, self-confidence, resilience and a sense of belonging. Wednesday, January 30, 2019 is Bell Let’s Talk Day. How do you know when someone cares about you? Who or what inspires you to be the best you? What makes you laugh so much you snort? How would someone know if you were stressed? If you were to describe yourself what is the first thing you would say? If you could trade places with anyone for a day who what that be? Why? What physical activity do you like to do? If you could talk to anyone in the world, who would that be? Why? Who is the person who makes you feel safe? What is it about that person or relationship that makes you feel safe? This is a friendly reminder that student supervision starts at 8:45AM. The school does not provide supervision before this time, therefore we are not able to ensure your child’s safety if you drop off your child before 8:45AM. If you bring your children to school before 8:45AM, please stay with them in the school yard until 8:45AM. In addition, during inclement weather (on rainy or very cold mornings), we encourage you, if possible, to drop off your children at 8:55AM, to assist us with their supervision in the gym. The gym is small, so it will help if it is not packed with children in the morning. It will make for a much smoother and calmer start to the day for them. 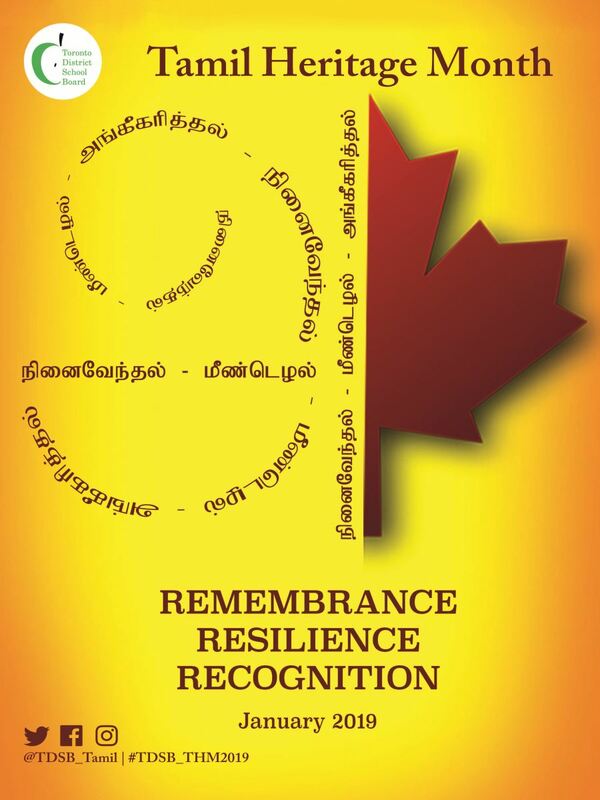 In October 2016, the House of Commons voted unanimously to recognize every January as Tamil Heritage Month. This month was chosen as it coincides with one of the most important celebrations for Canadians of Tamil heritage, the Thai Pongal Harvest Festival. Millions of Tamil people around the world, irrespective of their religion, celebrate Thai Pongal, and offer thanks for an abundant harvest. TDSB proudly marked Tamil Heritage Month for the first time in 2016. 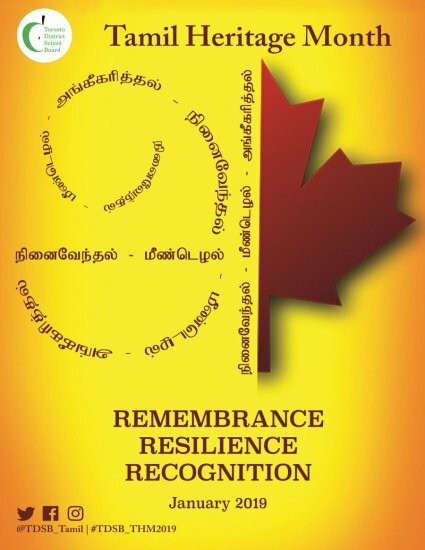 As Toronto has the largest Tamil populations outside of the South Asian subcontinent, this committee aims to ensure that the objectives of TDSB’s January’s Tamil Heritage month are reflected in the curriculum and learning objectives for students. To explore these themes, the planning committee will be inviting students to learn about the rich culture of the Tamil heritage and how their own respective ancestry can be used to shape their future through essays, original artwork and public speaking contests. The poster for the month was designed by committee member and Wexford CI student, Ganga, and has been shared with schools across the system. Lost and Found - On Friday Items will be Cleared Out! Lost and Found: There are LOTS of items waiting to be "found". Please check out the Lost and Found table and clothes rack, located in the EAST stairway. Your perfect day to check the Lost ad Found is today before or after the Holiday Concert. The lost items will be cleared out and donated by this Friday. The elves of Garden Avenue have really outdone themselves this year! 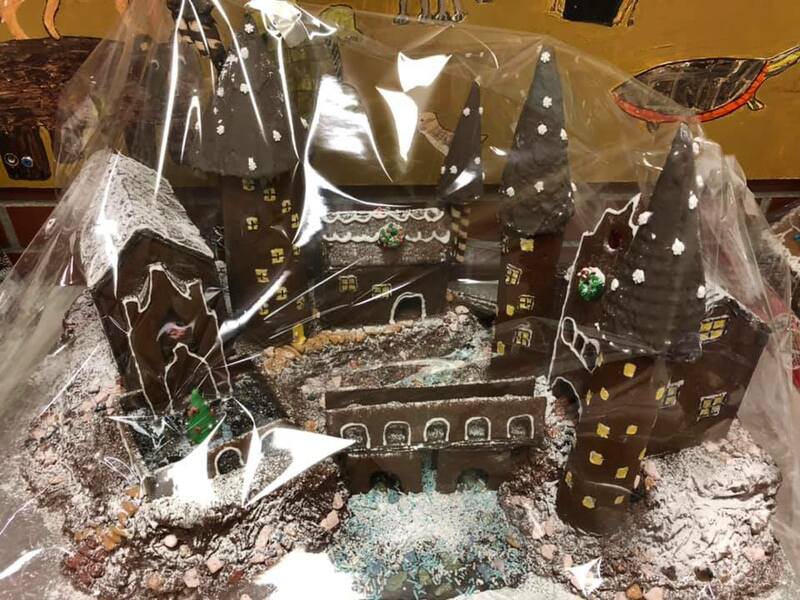 There are some amazing gingerbread houses to be won at the raffle tonight (Tuesday, December 18) and today is the last day to buy tickets, before and after school. Tickets are $1 each or 12 for $10. Carol Night starts at 6pm, and will feature the Junior Choir & Junior Strings, as well as our annual community sing-a-long and the gingerbread house raffle draw. Everyone is welcome to come and enjoy some holiday cheer. 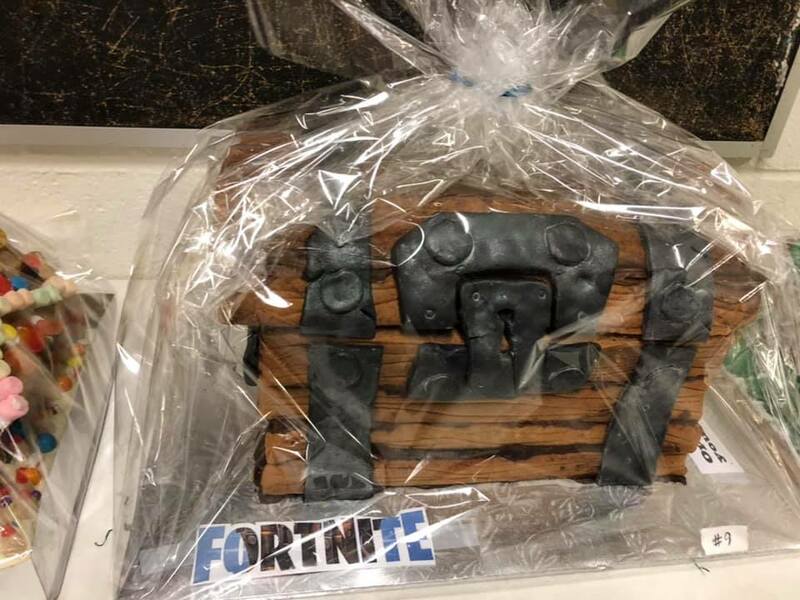 You might even leave with one of these beauties! 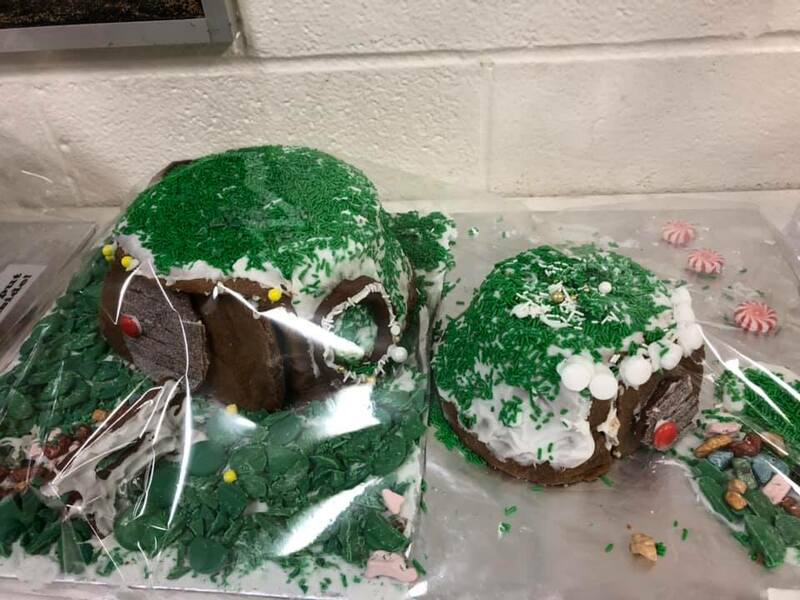 Thank you to all of the families who baked and created. 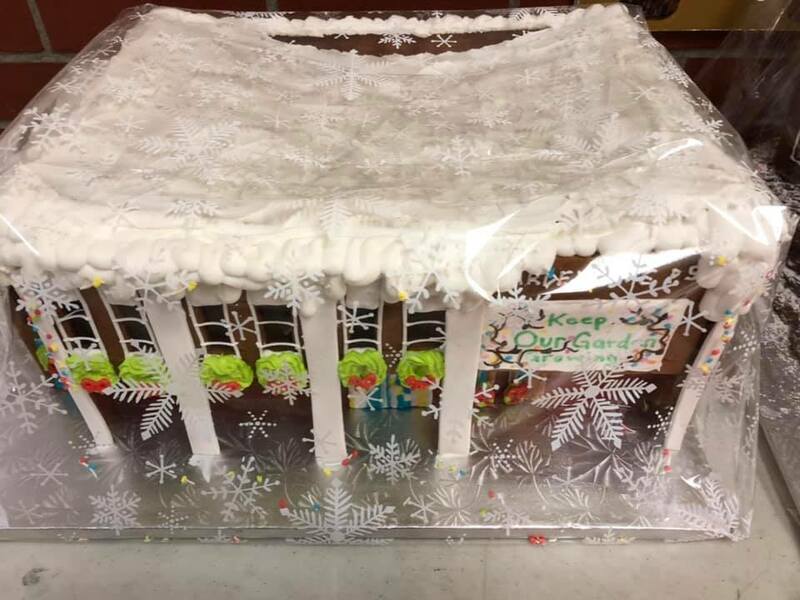 Gingerbread House Raffle - Draw is This Tuesday! There are some very awesome, beautiful gingerbread houses that are anxiously waiting to join some of your homes and make your kids happy. Please stop by to purchase raffle tickets. 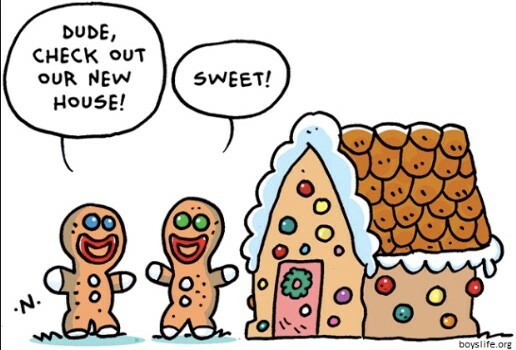 The more you buy, the more chances your kids have to enjoy their dream gingerbread house in their own home. Tickets are $1 each or 12 for $10. Winners will be drawn at the Carol night on Tuesday December 18!! Room 205 students are taking the initiative to help the homeless by participating in a sock drive through Socks 4 Souls Canada. The Sock Drive will run between November 26th and December 17th. This organization is run by volunteers who are committed to contributing warmth, comfort, dignity, mobility and health to approximately 5000 people who are homeless by providing them with new, clean socks. Since many homeless people do not have access to laundry facilities, multiple pairs of socks are needed for each person. We are asking students to bring cotton adult socks and to put the donated socks in the box located in the front foyer. Your support is greatly appreciated. It's not always easy to be in the know about the great things that are happening at school. So, in case your kids haven't shared this with you, take a moment to read about "Something Wonderful" - a school-wide program set up by the amazing Ms. Cox, which will be running throughout December. The TDSB character trait focus for December is Kindness and Caring. Please talk to your kids about Something Wonderful and help them come up with ideas for their acts of kindness! Something wonderful is here, Garden! From December 3 through until December 21, every person within our Garden community, staff and students alike, will be paired with another person or two. As an entire school we want to spread the idea of sharing conscious acts of kindness with each other while also introducing you to students in different classes that you might not yet know, and so, throughout the month of December, you can think of and do a kind act (or two, or seven!) for your partner. As you complete these kind acts, you can then write what you did on a special star that will go up on the 1st floor display outside the office. Your classroom teacher will have the stars for you to fill in. As an added bonus, we’ve paired up classes, so that your class may choose to do a kind act for the class you’ve been partnered with. Our challenge to all of you is to fill up our display with stars from all of your kind acts! This year, Garden Avenue will be supporting the Parkdale Community Food Bank for our Annual Holiday Food Drive. From December 3rd through to December 18th, please send in any non-perishable food items with your students that you can donate to this important cause. There will be donation boxes set up in the front foyer of the school. Also, please consider bringing a donation to Carol Night on December 18th, which is the last day for donations. Thank you so much for your generous support! The Food Bank is also looking for fridges and cleaning supplies. In case you want to donate your old fridge, please see the link below. They will arrange for pick up. 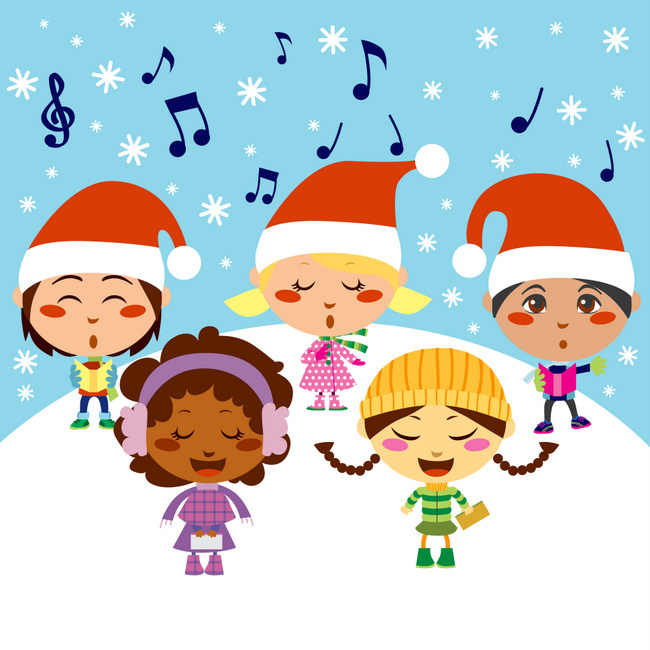 Garden Ave’s Junior Choir and Strings (Grades 4-6) Winter Concert will be on Tuesday, December 18th at 6PM. Please ensure that your child wears white tops and dark bottoms (any dark color will do and skirts and pants are fine) and arrives at school for 5:30pm in the music room, so that they have time to warm up. The Choir will perform 3 songs which will be followed by the Strings performance. Caroling will be after the Choir and Strings performance. We will also hold the draw for the wonderful gingerbread house creations. 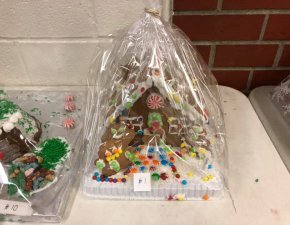 Gingerbread House Raffle - Only A Few Spots Left! 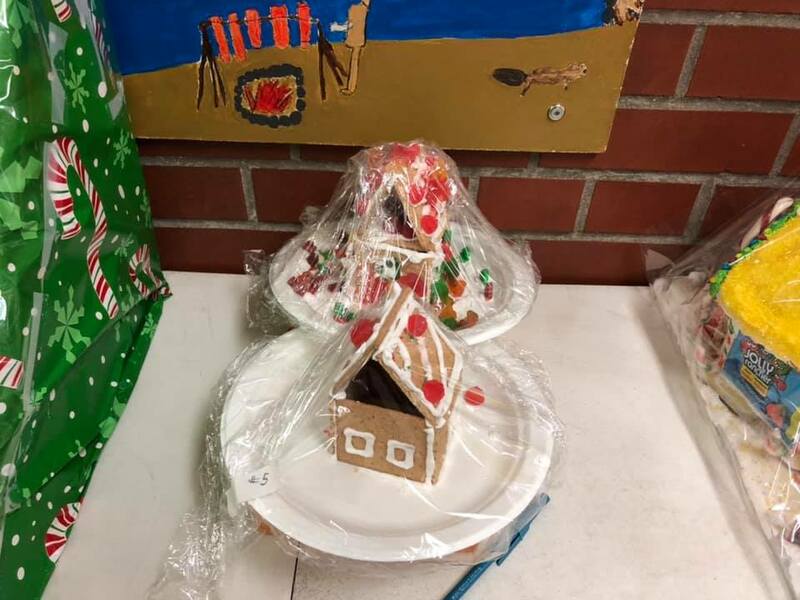 Do you like building tiny houses out of gingerbread and decorating them with icing and candy while your small children clamour at your heels asking if they can EAT IT NOW? Then have we got a job for you! 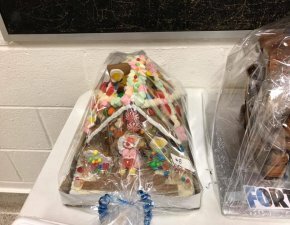 The Annual Garden Avenue Gingerbread House Raffle is a kid-favourite. 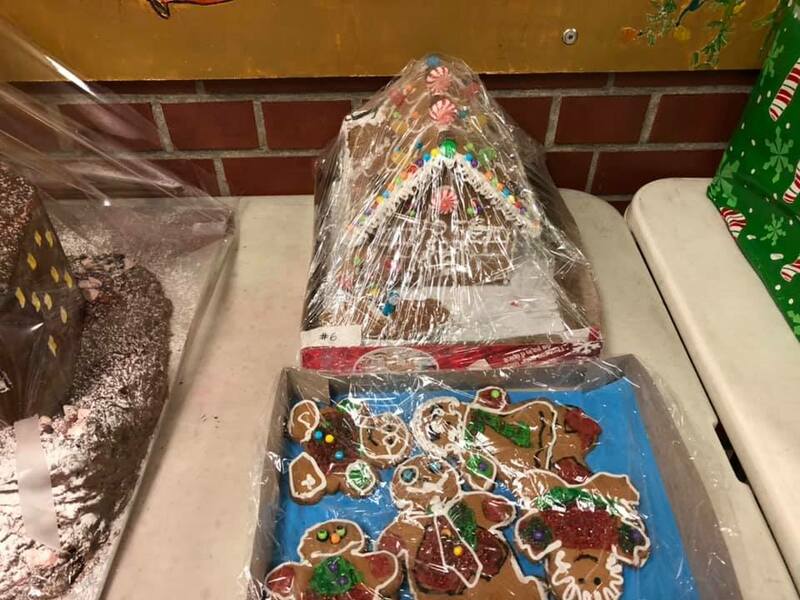 15 families have the opportunity to build and decorate a gingerbread house and deliver it to school on Monday, December 10. 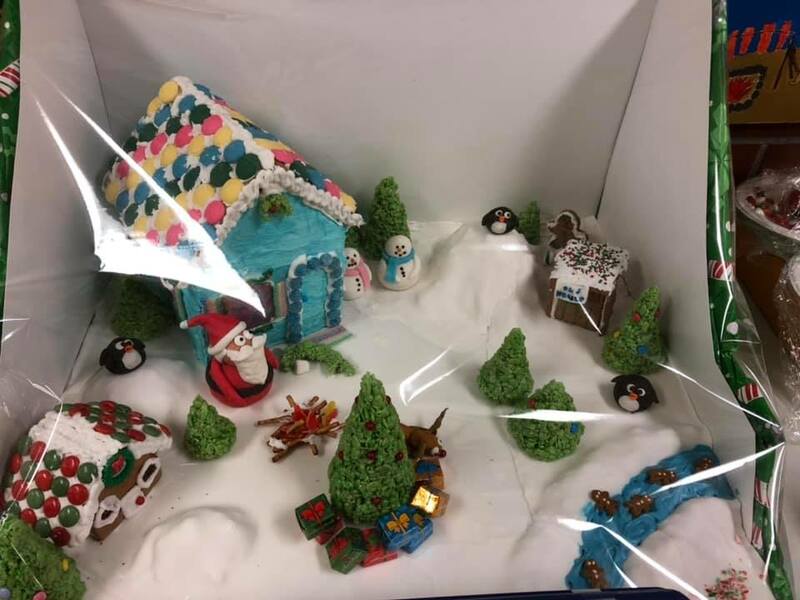 The houses will be displayed on tables in the main hallway and you can buy raffle tickets to win your favourite creation. Raffle tickets will be on sale from December 11-18 and the draw for the 15 winners will take place at Carol Night on Tuesday, December 18. 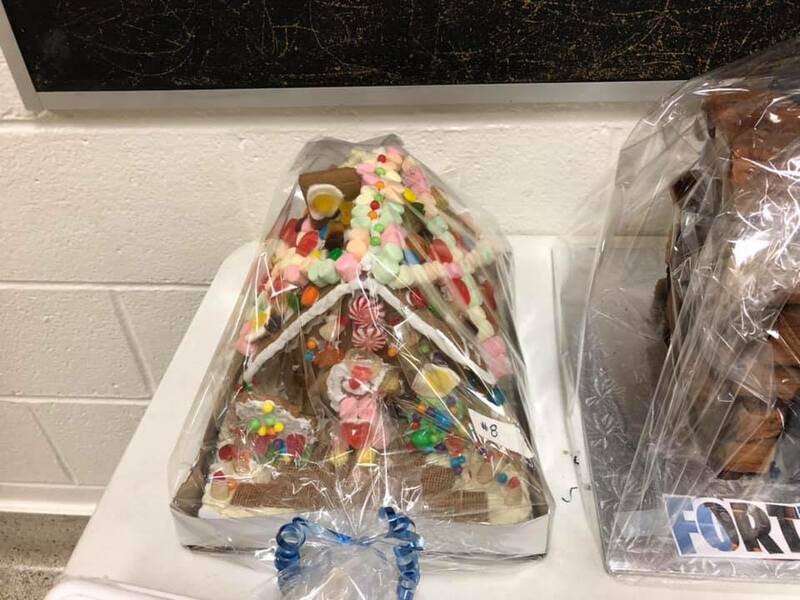 If you would like to build a gingerbread house please email Katherine Ball at kanddball@gmail.com. 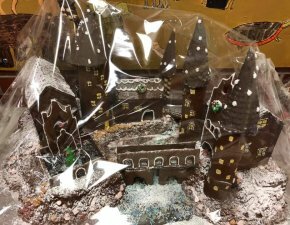 Kits are available or you can go your own way - there are no rules for building other than it has to be edible!! Holiday Movie Night - This Thursday! Come out for some family fun at Holiday Movie Night on Thursday, December 6. Doors open at 6pm and the movie will start at 6:15pm. We will have pizza for sale for $2 a slice (including vegan and gluten-free options), and juice and popcorn for $1. 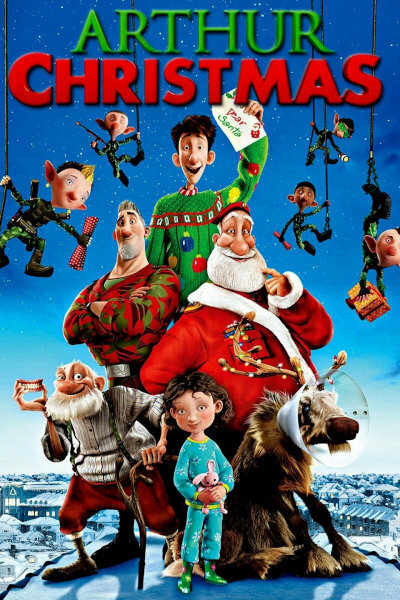 "Arthur Christmas" is an animated family comedy that at last reveals the incredible, never-before seen answer to every child's question: 'So how does Santa deliver all those presents in one night?' 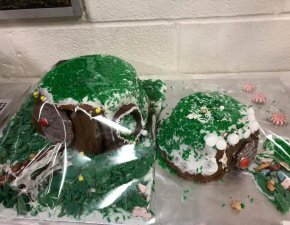 The answer: Santa's exhilarating, ultra-high-tech operation hidden beneath the North Pole. But at the heart of the film is a story with the ingredients of a Christmas classic - a family in a state of comic dysfunction and an unlikely hero, Arthur, with an urgent mission that must be completed before Christmas morning dawns. Mark the calendar for Holiday Movie Night on Thursday, December 6. There will be pizza and popcorn for sale, so put on your elf hats and jingle bells and come out for some family fun. 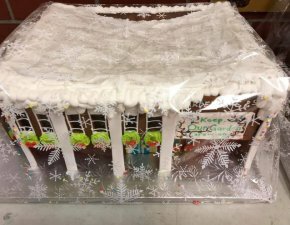 It’s time for Garden’s annual Gingerbread House Raffle! 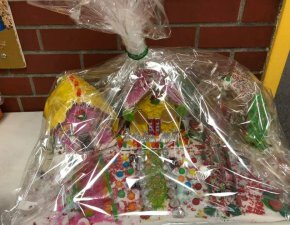 The first 15 families to sign up can take part in building and decorating a gingerbread house for the annual raffle. Information on how to sign up will go home on Monday, November 26. 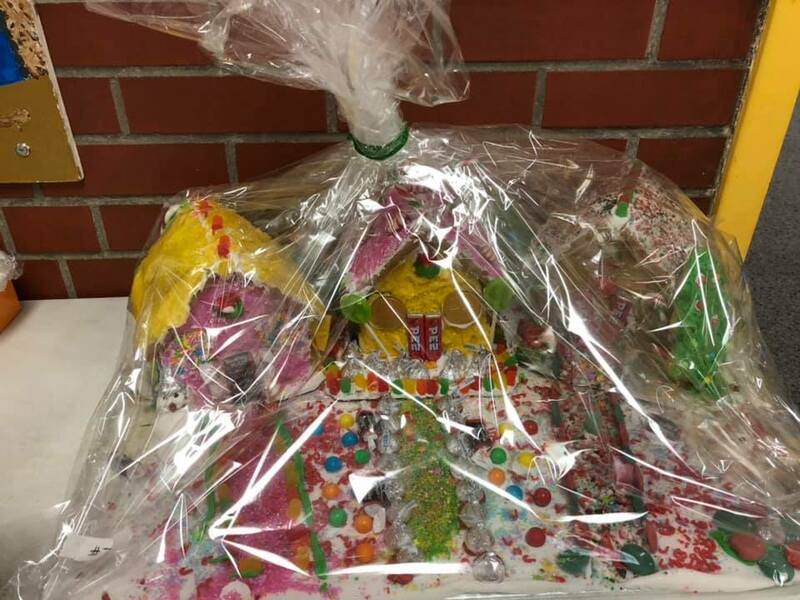 Gingerbread houses will go on display at school on December 10 and raffle tickets go on sale on December 11. 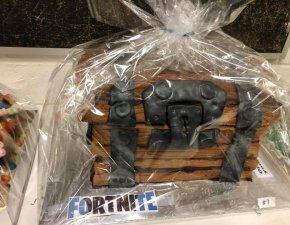 Raffle winners will be drawn at Carol Night on Tuesday December 18. Providing safe, inclusive and positive spaces accepting of all students is a priority in the TDSB. Our schools should be communities where all students are respected, welcomed, nurtured, engaged and encouraged. This week is Bullying Awareness and Prevention Week – another opportunity remember the impact bullying can have on a school community and that we should all stand up to bullying and say, No! The 2017 TDSB Student Census results provided detailed bullying-related data. Grades 4-6 students experienced the highest proportion of students reporting physical bullying at 19%. About a 1/3 of students from Grades 4-8 reporting being verbally bullied and about 27% reported being socially bullied (i.e. being excluded). Cyber bullying was highest for students in Grades 7-12 impacting 10% of students. Bullying prevention and intervention is about more than just eliminating bullying; it’s about promoting healthy relationships and positive school climates. When students have healthy relationships in their lives and feel connected to their school community, they are less likely to bully others and are more likely to support students who are bullied. Promoting healthy relationships is a key way to prevent bullying and create a safe and accepting school climate. The TDSB is committed to working to strengthen relationships between students and school adults and improving overall school climate to create inviting and engaging learning spaces where student want to be. Learn more about the bullying prevention programs that we offer, and the TDSB Caring and Safe Schools Policy and the Bullying Prevention and Intervention Procedure. Please note that, going forward, the Principal's Update will be sent from Ms. Guffin directly via the TDSB School Messenger email communication system. Garden Spirit Wear - Available For Purchase! Garden Ave Spirit Wear is back! Order your Garden toques, hoodies, tees and sweats by November 25th and get them in time for the winter break. There will be product samples at school starting this week. The proceeds from our Spirit Wear sale go to support School Council and all of the programs we fund. Come on out to the first Pub Night of the year, aka kinder-beer! Meet fellow Garden parents, have fun, AND it's half-price wing night at Gabby's. Who: Everyone is welcome. Please drop by to say hi even if only for a few minutes. Did you know that your child can get help from their school library even when they’re not at school? The TDSB Virtual Library has carefully selected resources, to enhance your child’s learning, that can be accessed online anytime, anywhere. This week, we will be sending the 2018-19 Virtual Library Learnmark home to you, which includes passwords your child will need to access some Virtual Library resources from home. Please keep the Learnmark in a place where you and your child can easily find it. 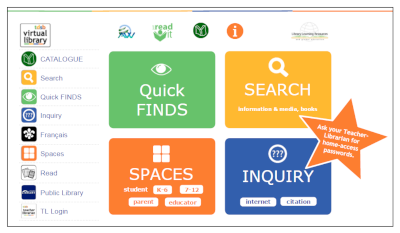 TDSB Public site (http://tdsb.on.ca) - Find Your School - the Virtual Library link is on the left. AW (http://aw.tdsb.on.ca), login using student number and network password. Click on the My Home tab. The Virtual Library link is on the left. For more information about how to use the Virtual Library with your child at home, we’ve created a section on the site just for you! 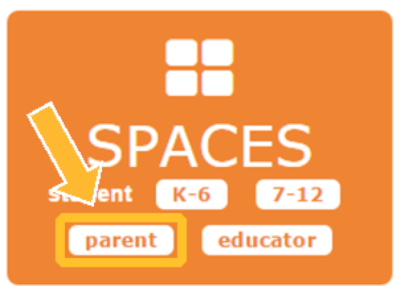 From the homepage, look for the orange Spaces and choose the white Parent button. 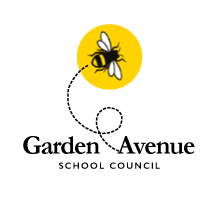 If you’d like to learn more about the Virtual Library and your school’s library resources, please contact Carrie Cox, Garden Avenue’s Teacher-Librarian.